When the band Agitation Free came together in 1967 as a result of the merging of two Berlin rock groups, one of the most interesting groups in a dawning independent German music scene was created. With their improvisations between rock, jazz and new music, Agitation Free – soon relegated to the not so flattering category of “Krautrock” – made musical forays into areas that few of their fellow German musicians had ever penetrated. At a time when most in Germany were still orienting themselves as closely as possible to Anglo-American musical formats, Agitation Free found a completely new and very original form of musical expression. 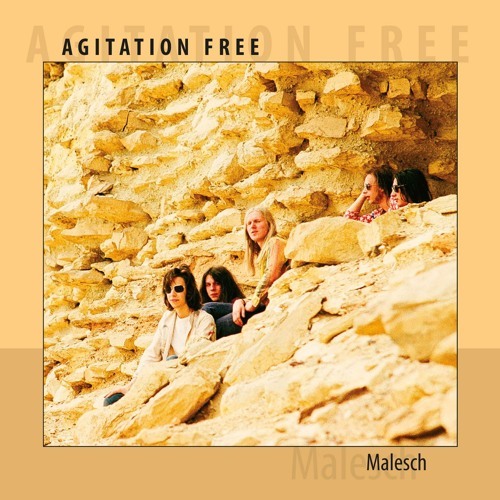 Starting with their debut album “Malesch”, Agitation Free delivered a fascinating sound, influenced not least by the manifold impressions from a Near East tour. The band moved toward a form of meta-music, a weaving of exotic-sounding compositions. The album has been justly regarded as a milestone in the genre, especially abroad. Looking back, it’s evident that the Agitation Free was one of the most important bands of the experimental circle known as the “Berlin School”, and a career springboard for a whole slew of musicians. At the same time, this policy of changing personnel also meant risking that the band couldn’t keep itself together over the long run. Agitation Free consciously took this risk in order to remain as close as possible to their own concept – free from commercial pressure or concessions to the latest trends and modes.